FULLY SERVICED!! NO ACCIDENTS! Very cool Fusion Sport! 3.5L V6 Model! 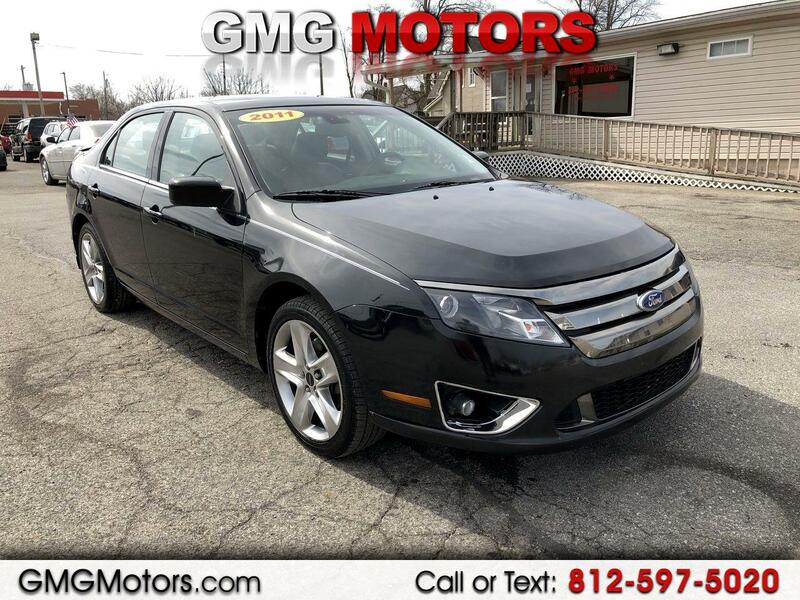 Front wheel drive, 18 alloy wheels, fog lights, power seat, sunroof, leather, heated seats, cd changer, satellite radio, keyless entry, parking sensors & more! $1500 DOWN! Come see us 50 N. Marion St. Morgantown, IN 46160 or call us at 812-597-5020. We look forward to doing business with you!